In order for small businesses to manage and run their business expenses smoothly, it is essential to keep tabs on your cash inflows and outflows. No question about it, the significance of proper expense administration for any magnitude of business is huge. The execution of the best businesses practices is a giant factor towards the revenue, growth, and, eventually, success and achievement of the business. At times, your money is lost in places it should not be. By managing your business expenses well, you will easily be able to find those unseen sinkholes. By getting rid of wasteful expenditures and making the best use of items that are considered tax deductible, business owners have a chance to achieve a noteworthy aggregate of revenue. For businesses owners, it can be a huge deal if they are aware of where their money is being spent. Not just that, it also makes a big difference in finding out how effectively that money is being spent. These two aspects are a big factor in the preparation and accomplishment of future growth of the business. The business expense policy of your company needs to be well-founded, fair, and unambiguous. If there are any exceptions, they should be set aside for exceptional situations. The organization should make sure their managers, employees, and clients are familiar and well-aware of the policies set in place. When formulating a business expense policy, the one thing that should remain a priority is ease of communication. After all, you don’t want your employees to go through the company textbook every time they have a question just to understand the business expense policy. The key here is simplicity. Keeping the importance of simplicity in mind, we will further elaborate with the next point. When we talk of simplicity, it has its benefits and advantages. The first point is, the simpler you keep your business process and procedures, the more your employees will be able to comply. The more simplified the procedure is, the more your employees will stick to it. Secondly, if the procedures are complex in nature, it will increase the chances of inaccuracy in managing the business expenses. The more administrative boxes and excel spreadsheets you have that need to be entered, the more chances there will be a blunder made somewhere. These are blunders that could possibly end in forfeiture of an expense entitlement. Finally, and most significant of all, simplicity means speed and swiftness. If the system is simpler, your clients and employees will spend less time on the business operations. 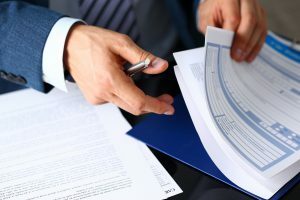 When it is time to file tax returns, the one factor that can immediately kill the likelihood of you getting your hands on any money is non-compliant invoices. Whenever a reclaimable expenditure is incurred, the associated invoices and receipts will guarantee you of getting your money back. This is why it is extremely important to save those invoices and receipts so that they can be accepted for a tax refund by the appropriate taxation office.